← Wishing Jessica Latshaw Well! It has now been more than a month since I sat down to write in this blog. During this time something dawned on me. To be a writer, you must write. That is what writers do: they write. They are not called to be a writer. They do not have the heart of a writer. Writing is not their vocation. They don’t long to write. They don’t think about writing. They write. If they have all that other stuff, great. But all the longings and urges and metaphysical wrestling with thinking about writing and inspiration do not get words down on a page. I guess this is why I am not a writer. When I write, I think I am better than average, perhaps even better than most, with words, but I can circle a keyboard for a month, I have found out, and not tap out one word. Okay, I send and receive emails. I have contributed to another blog. I write letters to editors. But I am not sure this counts as writing. Thoughts? Today I got my first haircut in Beijing. 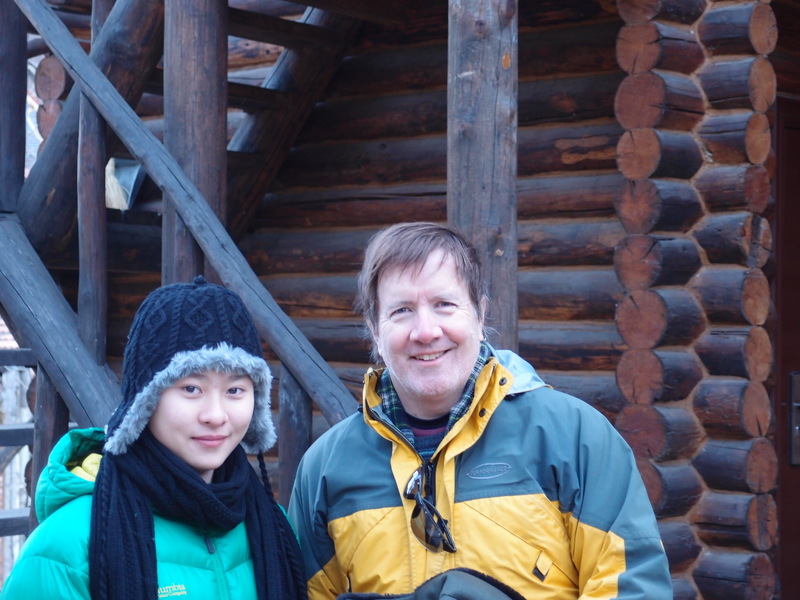 One of my students accompanied me as a translator. I told her mother that this is a sure sign of trust of a teacher in a student! We went to a very good place. Is it the Beijing equivalent of Bumble and bumble? Perhaps not, but it is very good. And, what in NYC may have easily cost $100 or more (I mean, I had my hair washed before the cut and afterward! ), cost $9.00. And I felt as though my hair was being cut my Michelangelo or Titian: the man was an artist. 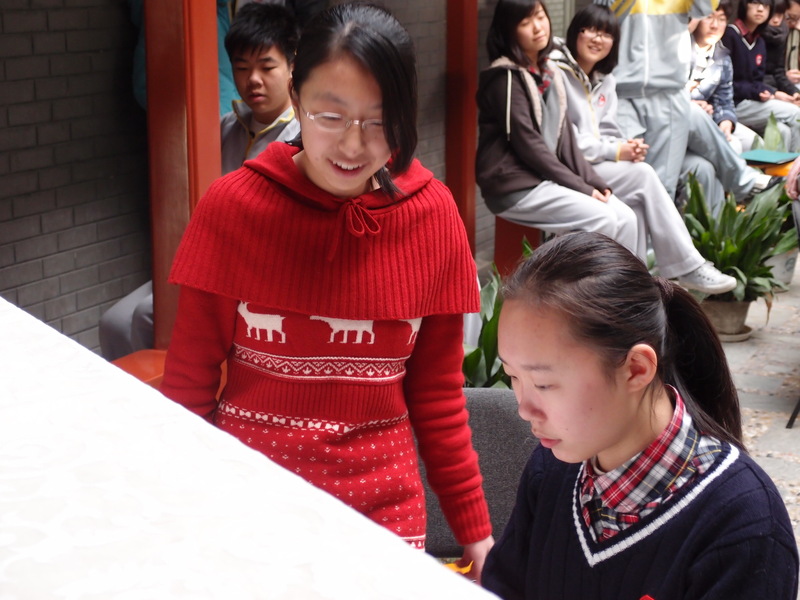 The student who accompanied me has also been my table-tennis coach. 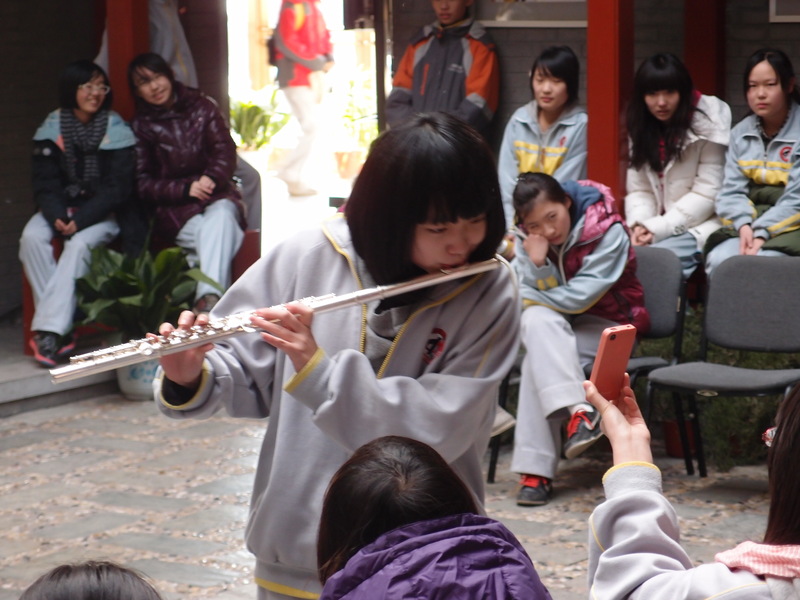 She is ranked number 2 in Beijing for her age group, so she is an excellent player and a very good teacher. Like rowing, table tennis is filled with all sorts of unseen techniques. I want to teach her how to play squash, as I think she would be an excellent player. 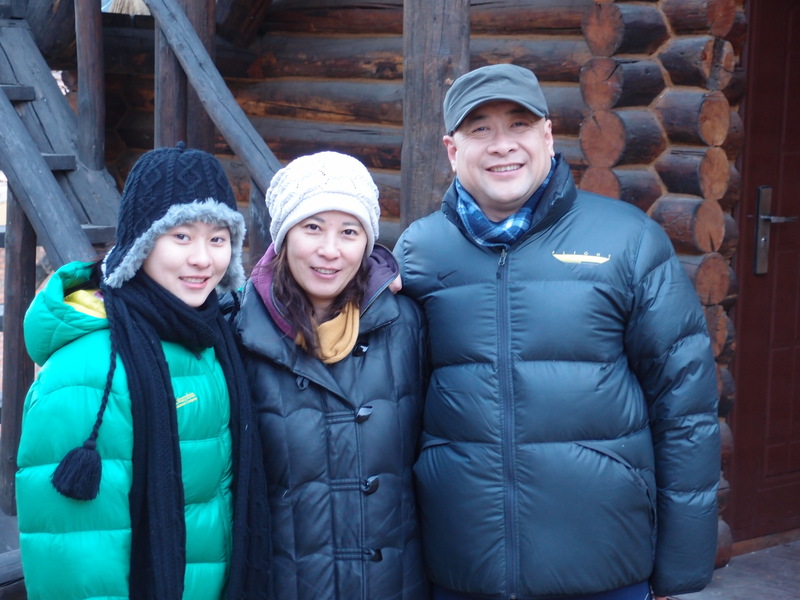 Moreover, she and her parents have been wonderfully hospitable to me during this long Spring Festival holiday, taking me to see the hill country just outside Beijing, as well as inviting me into their home for meals. 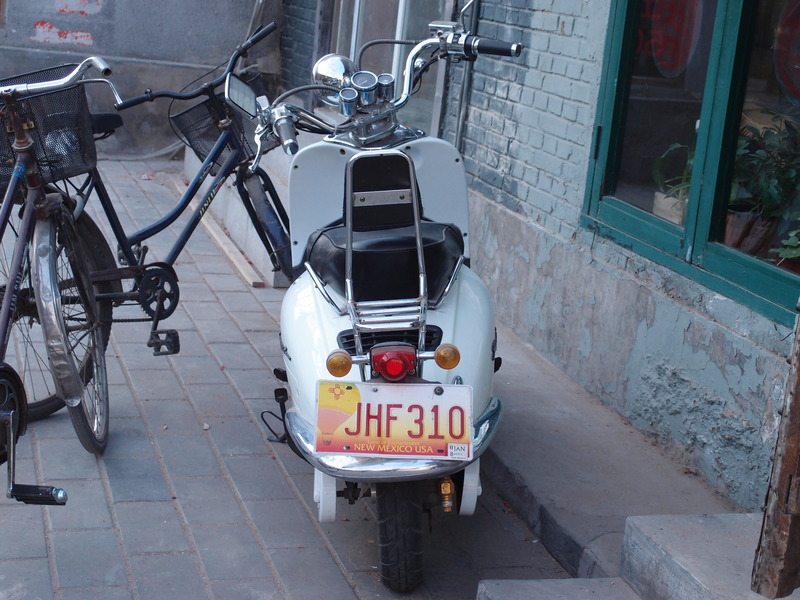 If you look closely, you will see a New Mexico (USA) license plate on this Beijing scooter. How did it get here? Good question. 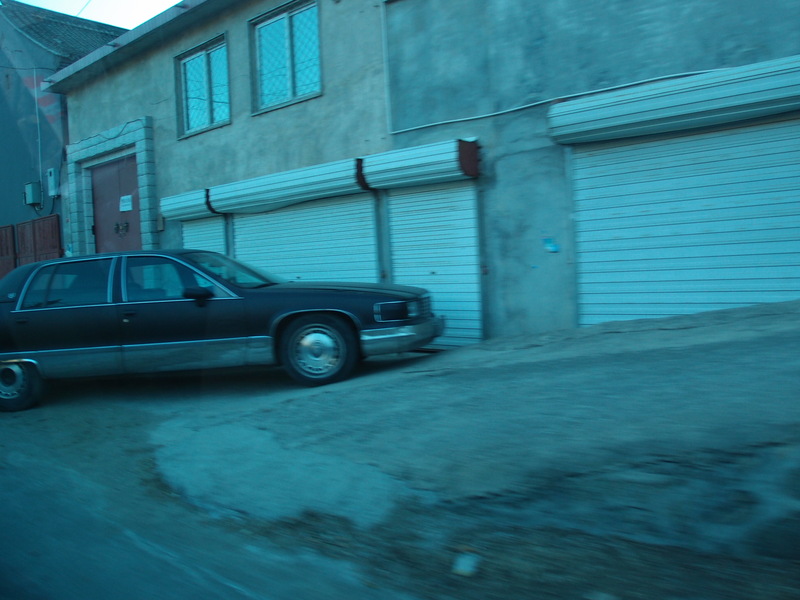 Then, on the ride back, I saw parked along the side of the road what is, I think, an Olds 98 or an old Chrysler Town Car. 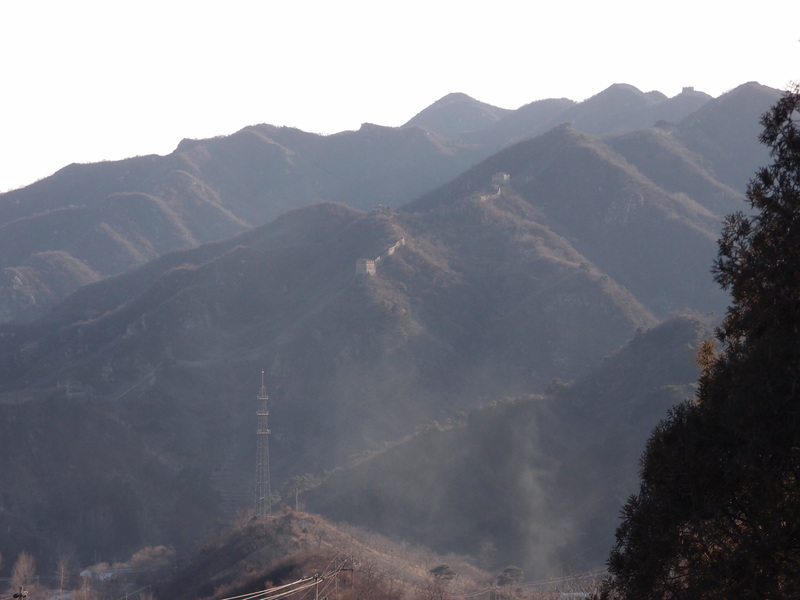 Either way, how this behemoth of a vehicle found its way to China must also be a story! This was taken near nightfall, thus the strange lighting. 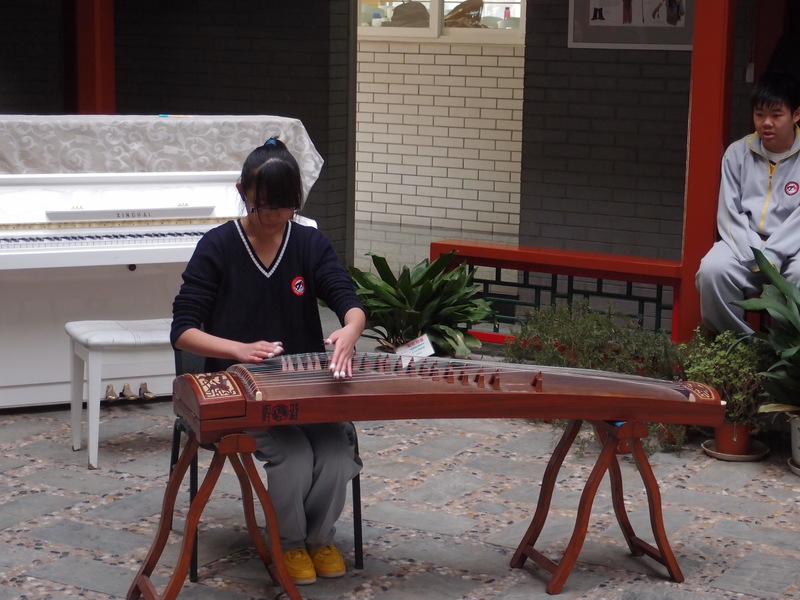 Here is something beautiful I recently saw in Beijing. I have to admit, when I passed this on my supermarket-bought bicycle, I had to think, “What a waste of 12 cylinders of sheer power.” Yes, I was going about 4mph, it about 2. 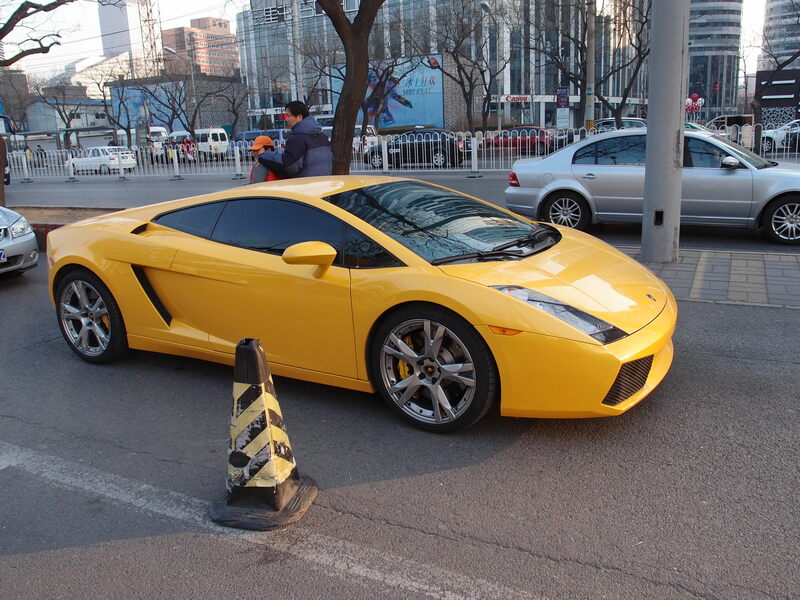 It was in a parking lane heading into an unusually crowded parking lot. 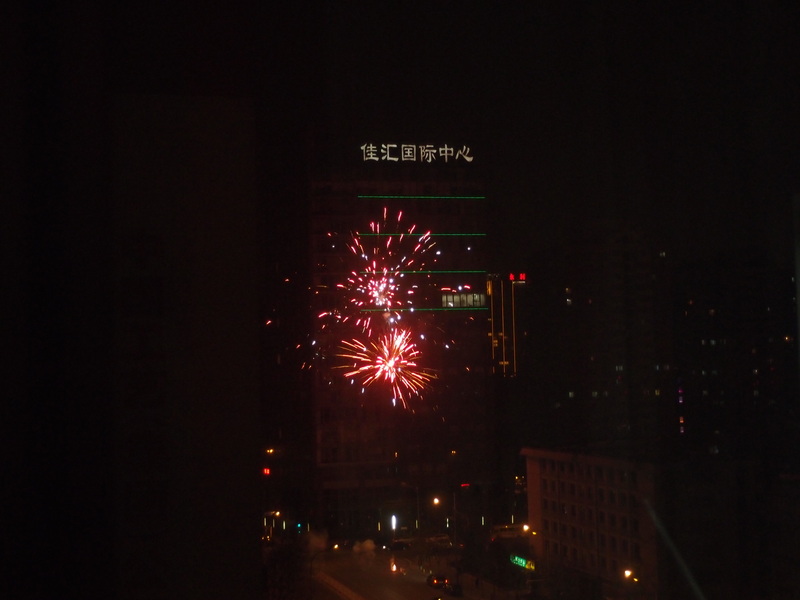 The Spring Festival is a celebration of, among many things, the Chinese New Year. 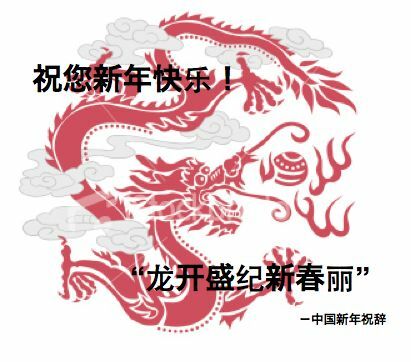 This year welcomes in the Year of the Dragon, which, according to tradition, should be a very good year. 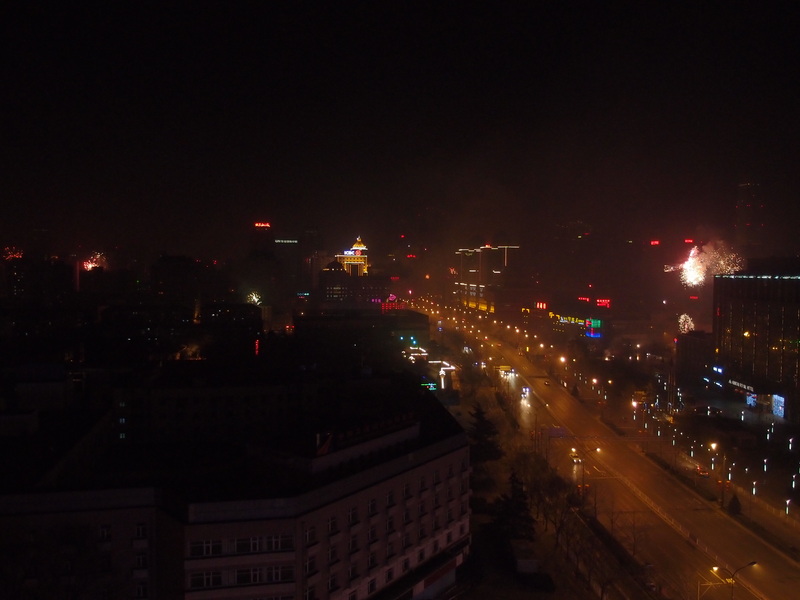 While Beijing may empty out during the Spring Festival — with Chinese making an estimated 3 billion, yes, billion, passenger trips during these few weeks, this proved to be the case — there are enough locals around to ensure that the New Year’s sky is lighted up with fireworks. The displays may not be the size of the Macy’s 4th of July display, but they are everywhere: on the sidewalk, on the street, outside buildings, between buildings, on top of buildings. 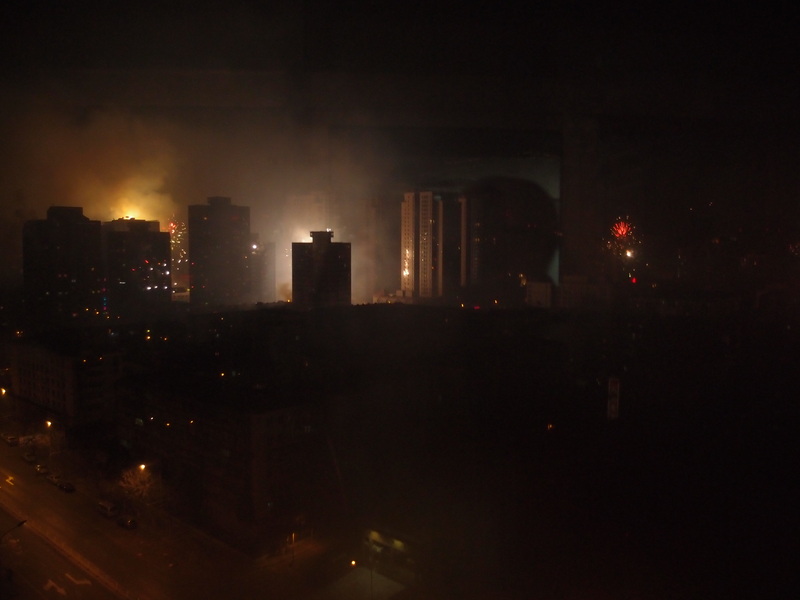 Someone wrote to me saying it looked like a CNN-covered war zone. 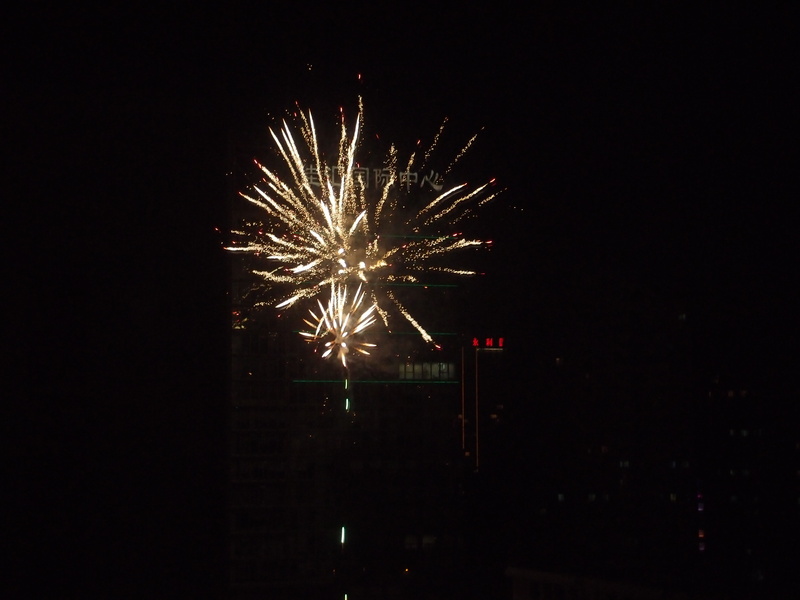 These photos were taken from my apartment. I have a fairly narrow field of view north. This would have been going on all over the city. 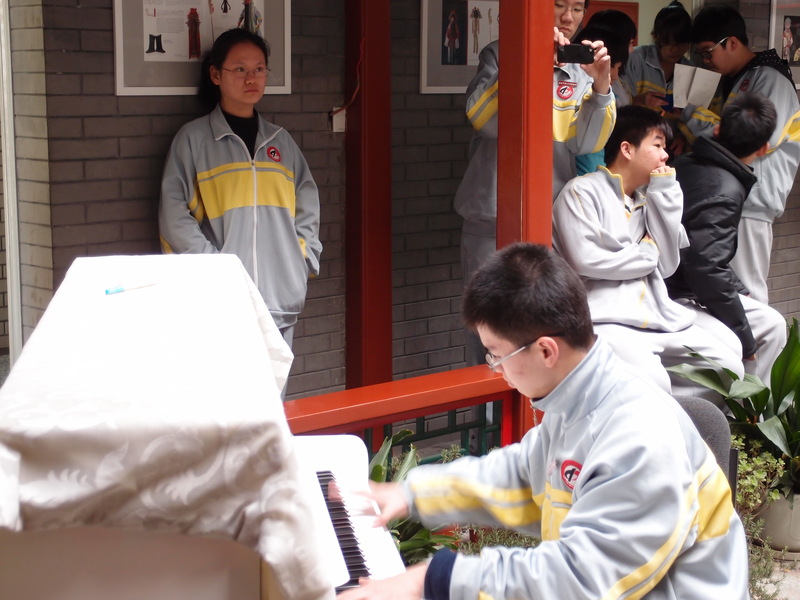 The Spring Festival holiday began at school with a student concert. Of course, for the students what followed was a weekend and then a week of TOEFL and SAT training. Some photos from that afternoon.